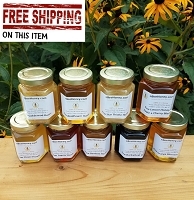 Royal Jelly which is fresh frozen, 8 oz. 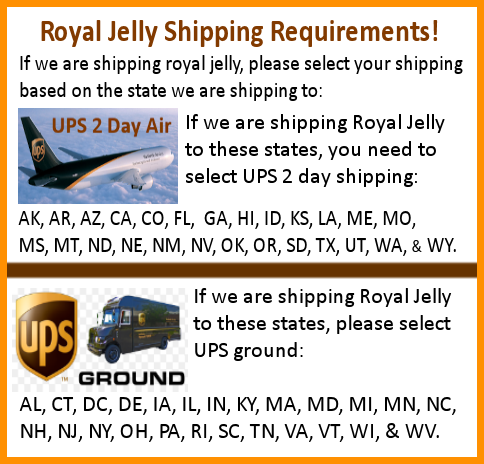 Home > Royal Jelly > Royal Jelly 8 oz. 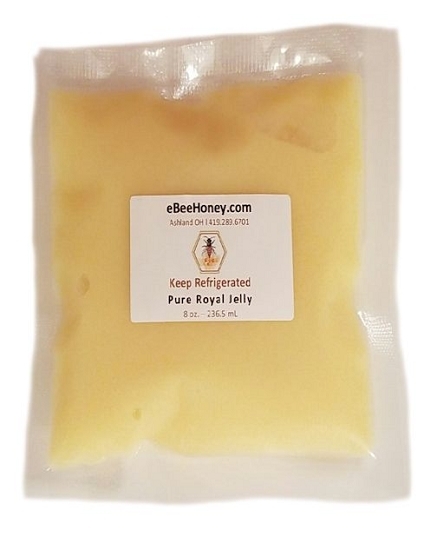 Fresh frozen royal jelly in 8 oz. 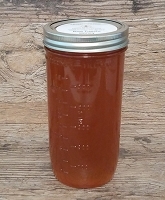 (1/2 lb.) bag. 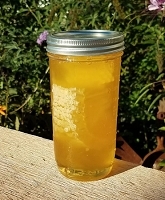 Fresh frozen royal jelly in a 8 oz. bag. Please note shipping below so your order is not delayed! I love this royal jelly. It is Fresh and sweet. I heard that it promotes fertility and balanced of hormon level. I have so much energy and boost up my memory now. I highly recommend it. It is totally different from royal jelly pills. Much stronger and powerful. You really need to try it! Good quality is all I can say. I’ll order another one soon. Bought it 1st time. Arrived in excellent condition. Just started taking it. Don't really like the taste, but able to take it without mixing with anything... Will update this review after awhile. Jelly is great, Glenn and Becky are too! I use the jelly for fertility and so far so good. It tastes very fresh and the consistency and colorare always good. 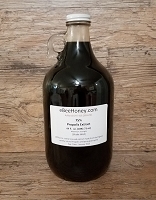 I have ordered a few times from ebeehoney and they go above and beyond to be helpful. Great customer service and great products. Great product. Shipping fast. Arrived in a cooler in great shape. I will do business with them again. Very nice people to work with. The product arrived in good condition but I was unhappy with the fact that there were no direction included as to the amount to use, etc. Very expensive for such a small amount. 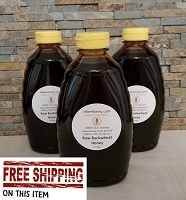 Im very happy with my purchase, arrived fast, cold as needed.Royal jelly itself taste bad but I hope it will do magic.Thank You for having that product!